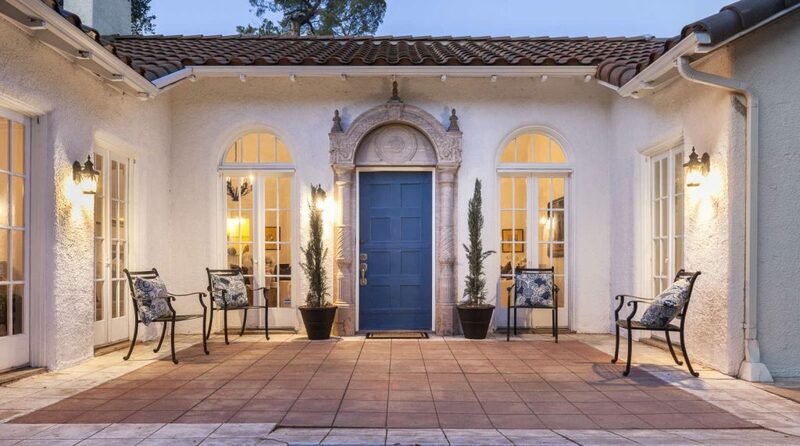 Offered for the first time in more than 60 years, this light-filled 1920 Italian Revival-style treasure is sequestered on 3130 Maiden Lane in the foothills of Altadena. 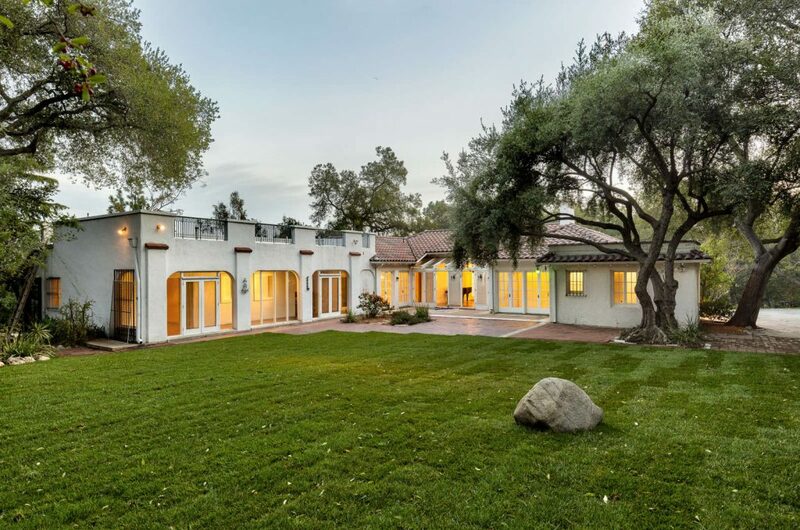 Set against the backdrop of the San Gabriel Mountains on some 2.36 acres laced with rustic trails, the property has been owned by the same family since 1957. 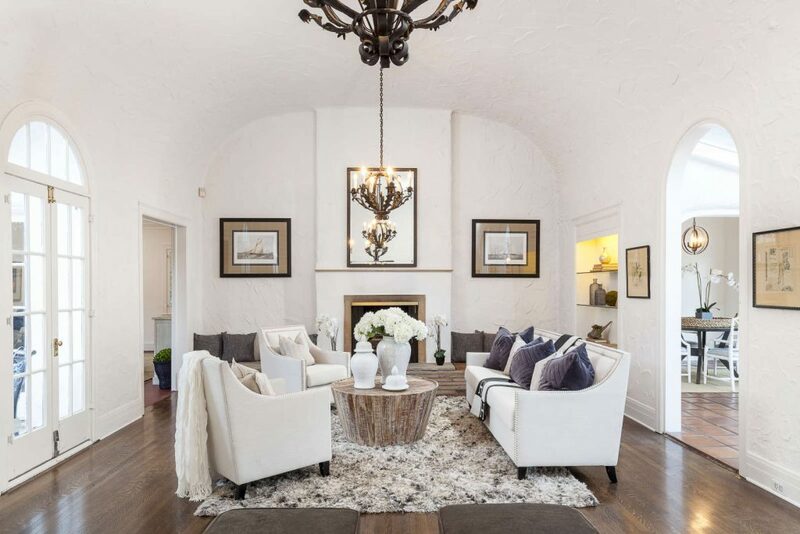 The formal living room of the 3,400-plus-square-foot home features a dramatic 13-foot barrel ceiling, fireplace, French doors, and a glassed-in sun loggia with triple archways that frame views of the grounds and mountains. 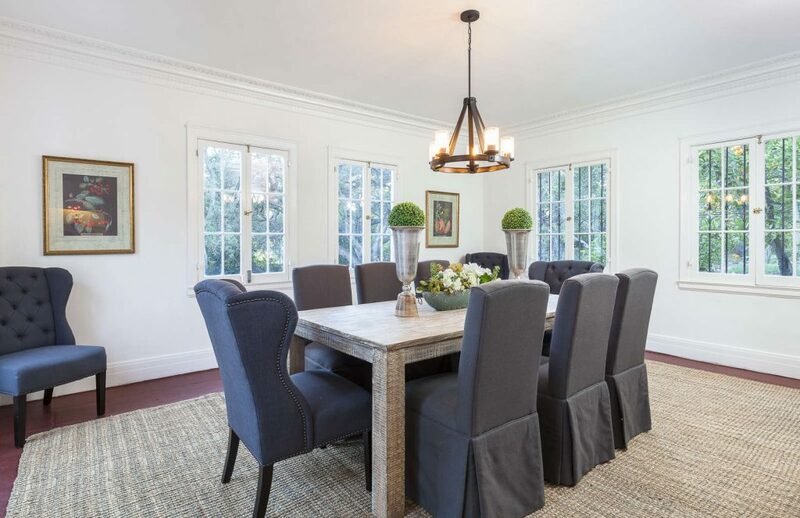 The generous dining room has a nine-foot ceiling, natural light on three sides, French doors, and original plaster molding relief with pomegranate details. 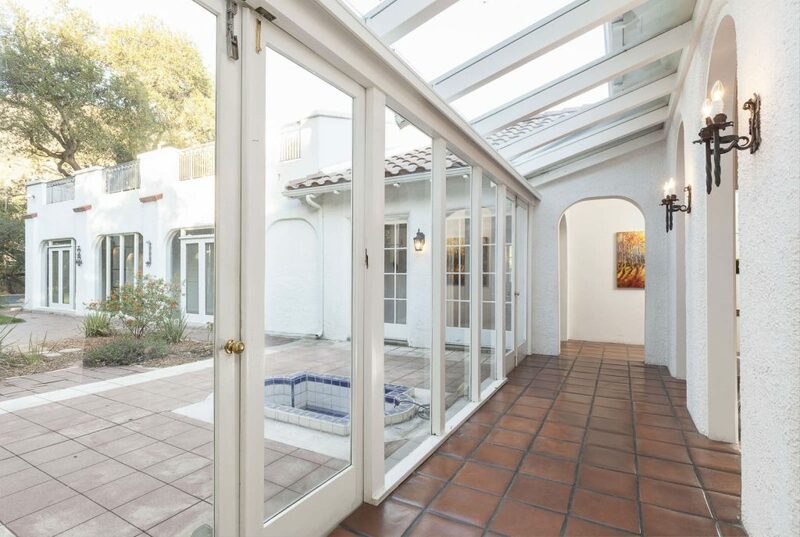 Adjacent to the kitchen, a large breakfast room with French doors opens to the grassy rear yard. Four en-suite bedrooms plus an office with French doors and light on three sides complete the main level. Most bathrooms retain their original period style, with white hex tile floors and subway tile. A long, covered loggia extends along the three east bedrooms. The lower level houses an expansive rumpus room with a river-rock fireplace and a ground-level exterior door — an ideal location for a family or media room. The grounds showcase an array of mature trees, including oaks, pines, eucalyptus, acacias, olives, jacarandas, and more. 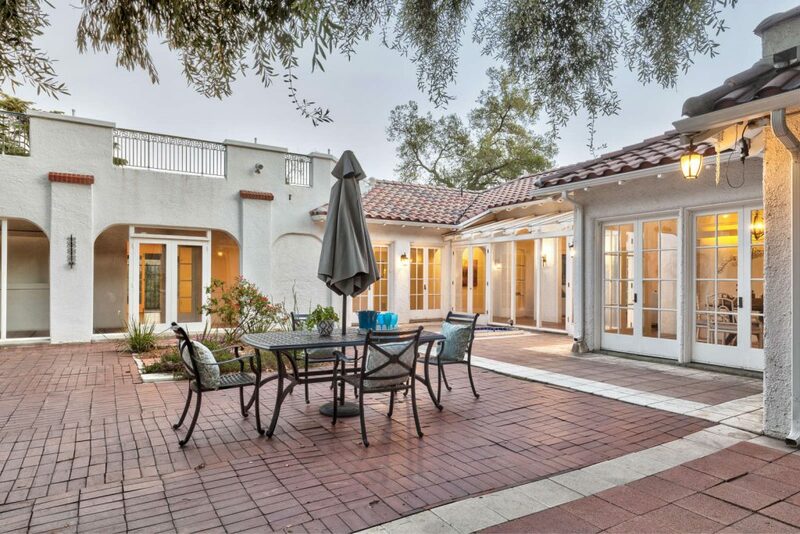 Lovely gathering spaces abound, from the shady, side brick patio with outdoor fireplace — which is built around a graceful mature oak tree — to a spacious front patio that could host a wedding, as well as an olive-shaded rear patio made for outdoor dining. Additional features include newly refinished hardwood floors; a newer roof; a security system; newly installed front and rear lawn with sprinkler valves and a timer; partial central air conditioning; two water heaters; combined gravity furnaces and central heating; partial copper plumbing; a three-car attached garage; and a vast lower storage room. This rare opportunity is presented by Sarah Rogers at $2,500,000.